Get close to the iconic Times Square Ball Drop and celebrate this New Year’s Eve in New York City with the incomparable Times Square Family Pass. A renowned multi-event pass, the Times Square Family Pass offers you and your family access to a variety of revelry-filled, family-friendly venues in the heart of NYC’s Times Square, blocks from the famed NYE Ball Drop. Make this NYE with your family unforgettable by basking in the energy of the Times Square Ball Drop and party-hopping your way to the New Year. Usher in the New Year with super-festive, family-friendly events located within blocks of the exciting Times Square Ball Drop. Wherever the Ball Drop Party Pass takes you on this NYE night, you’ll be sure to have all the Ball Drop excitement and NYC-only amenities to make this New Year with the family truly amazing. You’ll receive special, highly-coveted access to Times Square’s barricaded areas and, as you party hop to another great Times Square venue, you and your family could catch a view of the historic Waterford Crystal Ball Drop, the centerpiece of NYE celebration world-wide since 1907. 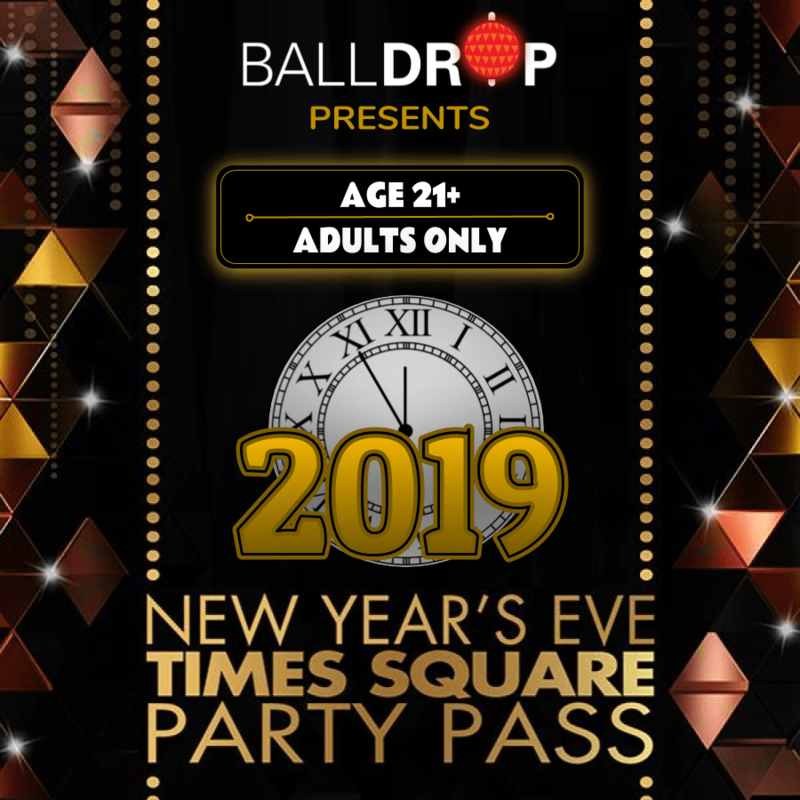 The Ball Drop Family Party Pass not only allows you and your family to get close to the legendary Times Square NYE Ball Drop, it also offers all-in-one access to a multitude of premier NYE events. Purchased individually, these events would total $1000 in face value, while you can enjoy one or all of them for a fraction of this price value. The thrill of being near the Ball Drop, the excitement of Times Square, and the fun amenities of NYC’s best all-ages NYE parties will make this a spectacular NYE for the whole family.